I am obsessed with this smoothie. It tastes like sweet vanilla goodness… I am not kidding! It doesn’t have a “green” flavor despite the bright green color and only uses 3 ingredients. It is smooth and makes me feel happy and healthy when I drink it. 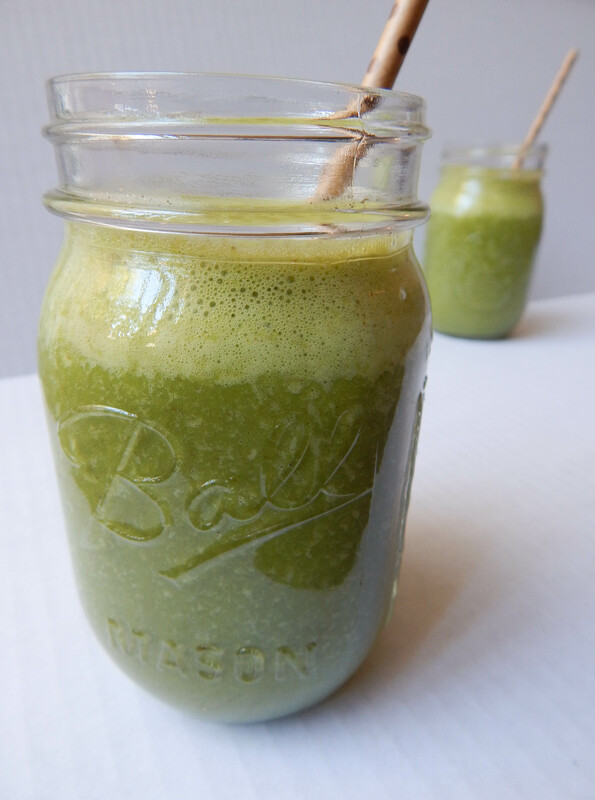 This recipe was adapted from Lindsay’s The 4 Ingredient Green Smoothie at her awesome food blog Pinch of Yum . 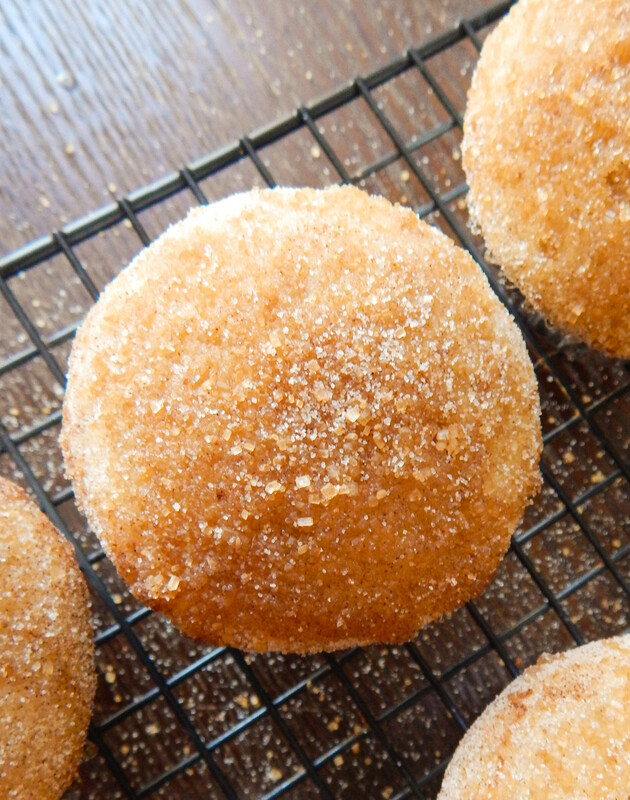 Pinch of Yum is one of my favorite food blogs out there. Definitely check her out! The stars of this smoothie are the super sweet dates. My favorite dates are the big Natural Delights brand Medjool Dates. I buy them with the pit because I think they are softer and more plump than the ones you buy already pitted. All I do is rip them in half, pull out the pit, and they are ready to blend. After a couple of months I decided to invest in a Vitamix blender. Happy dance! I wanted to start making smoothies instead of juice, and I knew I could use it for other things in the kitchen as well. So just like that my juicer got kicked to the curb, and my Vitamix found its new home. Poor juicer. I still bring it out every once in awhile, but definitely not as often as when I first bought it! I have tried out so many different combinations for smoothies in my Vitamix, and the always turn out so smooth. I love that about them. 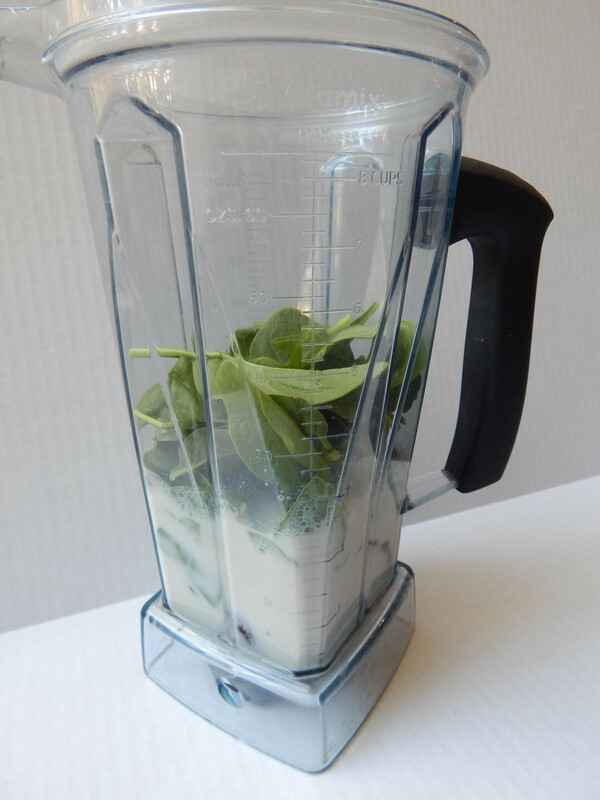 If you don’t have a high power blender, just blend for a longer amount of time. I have been loving banana and date smoothies for months, but I usually just blended them with water. This one though, is extra creamy since it’s blended with unsweetened vanilla almond milk. Thank you so much for that idea, Lindsay! It is really important to use unsweetened almond milk so that your smoothie does not end up too sweet. You want all of the natural sugar to come from the dates. I never like to blend ice into my smoothies. I think they stay creamier if you serve them over ice instead of blending it in. 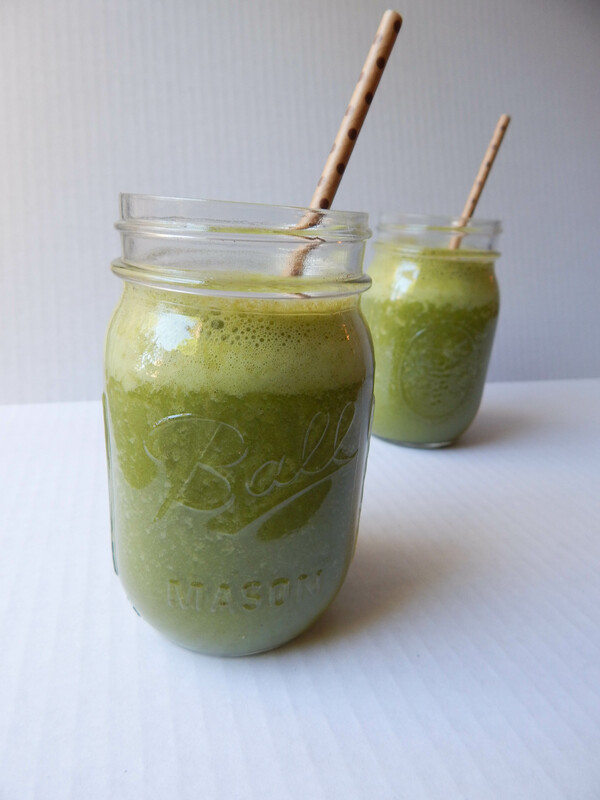 This Super Sweet Green Smoothie is perfect! It makes me feel good. You get in vitamins from the spinach, fiber from the dates, and protein and calcium from the almond milk. My husband loved this smoothie too. It has been a go to breakfast for us lately. 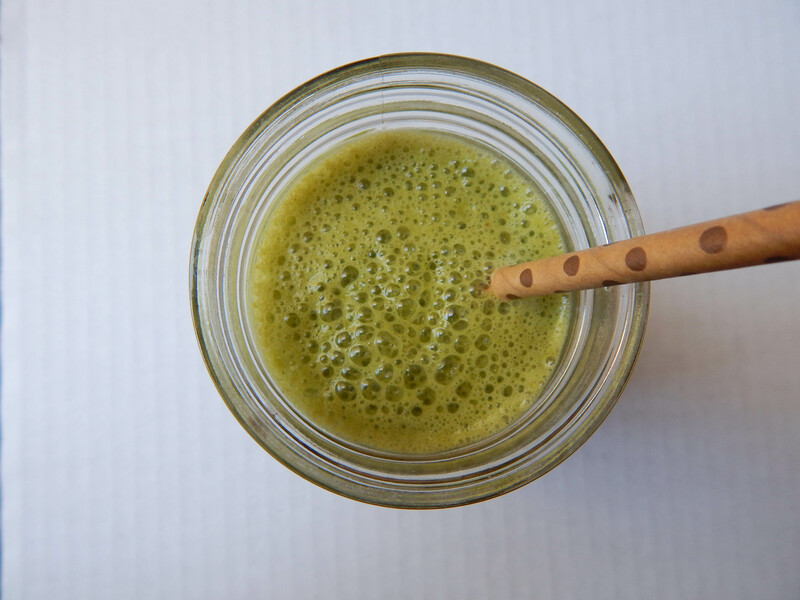 If you love green smoothies try this out, and if you have never had one this is a good way to ease into the more scary intense ones! I also think kids would love this… let me know if you make it for your little babes at home. 1. Place the dates and unsweetened vanilla almond milk in the blender. 2. Add in the spinach and blend until very smooth (at least one minute). 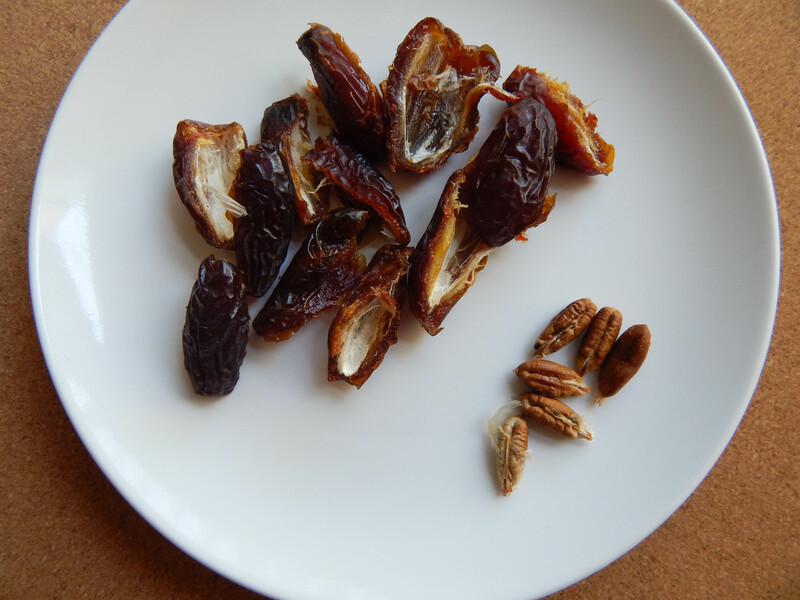 If you do not have a high power blender try chopping the dates before adding them in to make blending easier.